It’s been almost two years since I last gushed about Terra Battle, and indeed, it’s been almost half a year since I last played it. Other free-to-play JRPGs have come and gone since then, like Brave Frontier and a whole host of Final Fantasy mobile games, and I’m not even including the unhealthy number of hours I’ve sunk into Pokémon GO. I can’t imagine what my neck will look like in the next 40 years. However, after extensive Pokémon GO playing this past winter holiday with my obsessed family, I found the time to also let Terra Battle sweep back into my daily groove. And since the last time I signed in, not only is it just as good as I remember, it’s even better! Every improvement to the game has magnified what I first loved about it, and the additions have filled in where it fell short. For the uninitiated, Terra Battle is a free-to-play mobile game from Hironobu Sakaguchi, the creator of Final Fantasy. His indie studio Mistwalker Studios has a real winner here, and if you love strategy RPGs, this is the game to check out. My old review still stands, but I’m going to further highlight below how this game has improved. 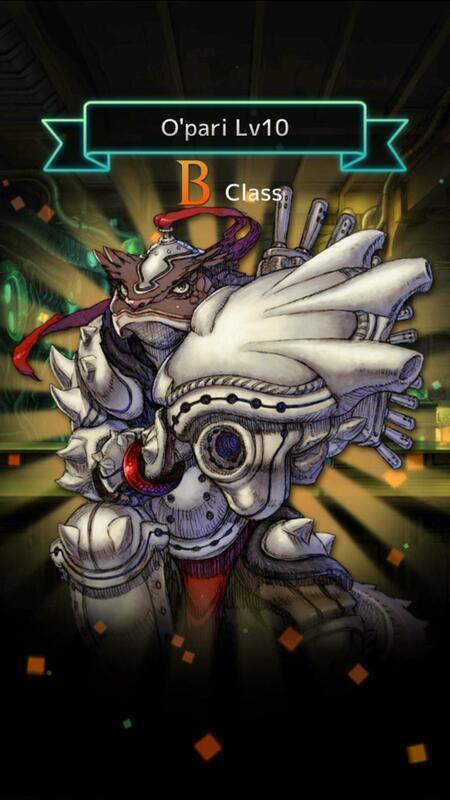 When I last left Terra Battle, I did so because I felt I had played the game out. My characters were capped out at Level 70, and besides the recent addition of DNA Recoding, an ability that lets you supercharge a character by starting back at their base level, there wasn’t much else to do. I cleared the story, hit a difficulty wall on one of the end game chapters, and one missed day led to another until I just didn’t bother to go back. At the time, I had seen almost everything save a few missions towards the end of the game. After these last two weeks, I still haven’t seen these missions. Not because I can’t break through that wall I hit, but because, I’ve been hammering out other all new goals and objectives. 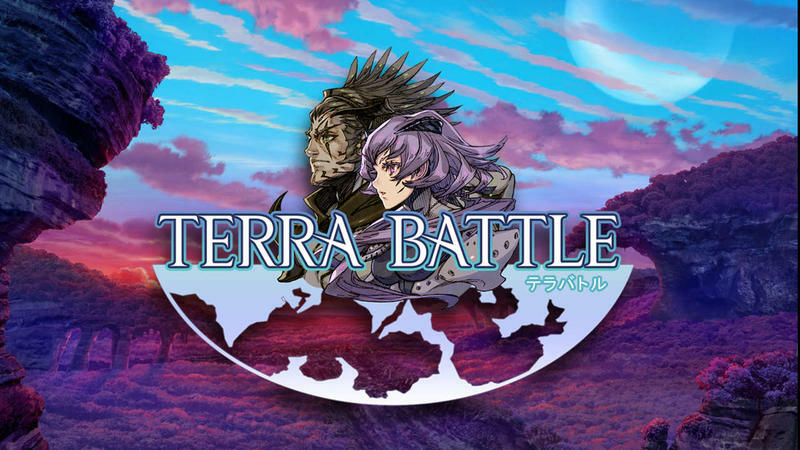 For example, Terra Battle added a new in-game “Trading Post” which lets players buy rare items that could only be obtained randomly through its draw system. Normally, these require real world money to have a chance of being found, but by beating special boss fights, the rarest of items can now be obtained the old fashioned way… through playing the game! Likewise, a new Luck system has been added, and players will want to increase their main team’s luck statistic to get the best items at the end of battle. Luck randomly increases through playing battles, so this requires a healthy dose of grinding. On a personal note, since returning, I finally drew one of the SS ranked mages, some of the best characters in the game, and I have to bring him up to speed with my main team as well. Building a character up from level 10 is a challenge, but I’ve already got all three jobs unlocked, and he’s well on his way to fighting alongside them in toughest of boss fights. There’s nothing more motivating in a game like this than pulling a character you want to see. And yes, Mistwalker even introduced a Metal Room, the game’s power leveling segments, that allow characters to max out at level 90. You can bet I exploited that every single day of my winter vacation. The point is, between grinding stats, unlocking weapons, improving characters, fighting bosses, I’ve been doing the equivalent of side quests in a normal console JRPG. I’m having a great time with the game outside of the core storyline, one of the main testaments of the genre. Terra Battle has also increased the number of events that run alongside one another. Back before, the occasional bouts with the game’s secret bosses like Odin, Leviathan, and Bahamut appeared in the arena, but since I started playing, Mistwalker can’t seem to write these events fast enough! First off, there are the aforementioned Trading Post boss battles which grant special items that can be traded for ultimate weapons. Since I started, two or three of these have been available at a time, and farming them for loot is one of the most basic timed events in the game. Trading post items change every week or so, meaning the loot will always provide new rewards. As of writing now, the game has Leviathan available to battle against, but the main side attractions are two storylines that venture away from the established central plot. “Vengeful Heart” follows a new character and her attempts to discover the truth about her history. With branching story archs and secrets that lie within, you’ll want to play this many times to see the whole plot as well as unlock all the unique items that can be obtained. The story offers two new characters, two new ultimate weapons, and exclusive items that allows the main character to advance job classes. Likewise, a prior Mobius Final Fantasy tie-in is also running at the moment, which unlocks new characters and items, and a new “Recoded” storyline is also running as well for those who have already beaten the original tie-in. Again, new plot, new items, new characters, all available for free for those who don’t want to drop in any money. These events and updates happen so frequently that Mistwalker has even added a calendar which points exactly when certain events begin and stop. They add plenty of motivation to come back and not miss out on anything. 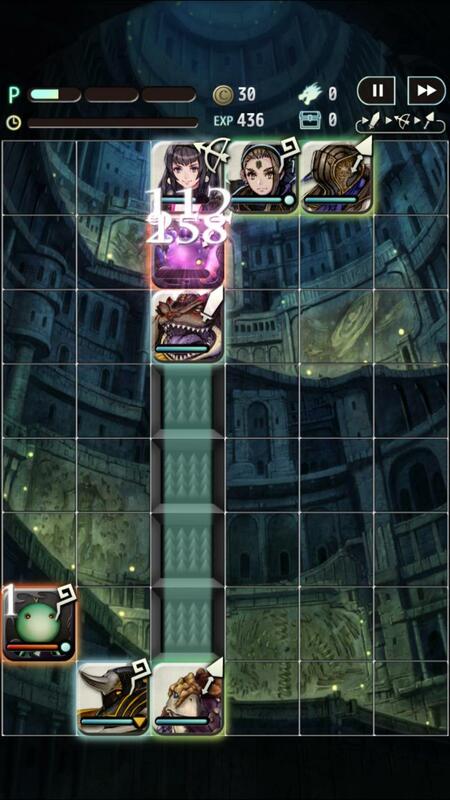 It’s standard practice for free-to-play games, but Terra Battle has the upper hand in one area I believe. Seriously, I’ve struggled with Terra Battle’s bosses far more than any other JRPG in recent history. It’s like I’m playing Final Fantasy Tactics all over again for the first time, trying to find the perfect patterns to approach challenging bosses and survive waves of enemies. Keep in mind, I’m also maxed out at level 90 for all of my main team members, all from among the elite the game has to offer, so grinding isn’t going to help. No, this game is pure strategy and planning. I’ll use one of the current Trading Post boss fights, Spinetrich, as an example. When I first started battling out with Sprinetrich, he would crush me every time. I approached him like a normal fight, expecting to just nuke him with magic and walk away with my goodies. Wrong! Standard tactics don’t work here as he requires more finesse. From there, I studied his patterns, how he moves and targets tiles, how he summons allies, what weapons he’s weak against, and so forth. These bosses have a lot of hit-points, and along with the strategy, there is also a battle of attrition going on here, meaning the longer the fight drags out, the more mistake-prone the player becomes. I lost plenty of times due to oversight or just having my finger miss the tile I really wanted to go to. Remaining focused over a whole fight can be challenging. Eventually, I got to the point where I could bring him down after a solid ten or fifteen minutes of fighting. This was after about a day of practicing and memorizing his actions, and because we are working with an energy system here, I could only practice a few times before needing to wait for a refill. Since then, I’ve whittled down my time against him to under four minutes, and I can wipe him out clean if I make no mistakes. That’s not because I grinded my JRPG characters to make them stronger. It’s because I took the time to learn how the boss works and how to properly bring him down. I can’t remember the last time a JRPG required me to do this so thoroughly, and here is this silly little mobile game demanding it. Sorry, but a lot of console games are getting shown up by Terra Battle on the difficulty front. That goes for its free-to-play competition as well. Tapping my screen to beat yet another Dragonite doesn’t exactly compare. 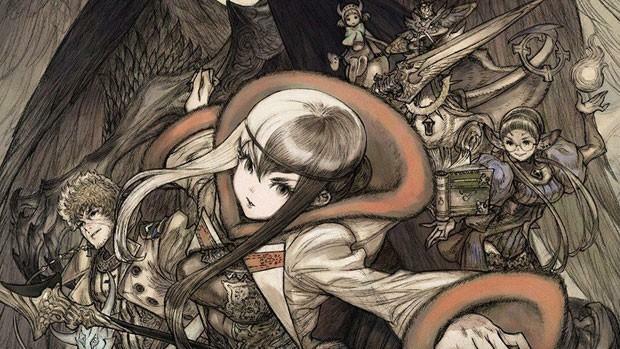 I can’t state enough how much Terra Battle’s graphics, music, and story all play into its success as well. With each passing character I unlock or monster I beat, I’m reminded that there is world class talent working on this game behind the scenes. The characters are hardly the standard bubblegum anime twerps that appear in most free-to-play games of this nature. They are unlike any I’ve ever seen before, with several races populating its world and a different spin on each individual based on their skill and element. Likewise, the stories have been written by the most talented folk as well, including Yasumi Matsuno, the writer of Ogre Battle and Final Fantasy Tactics, and Hironobu Sakaguchi himself. Stories unfold in a sort of dreamlike D&D campaign rather than direct character interactions. Reading dialogue between battles is one of Terra Battle’s most interesting quirks because, yes, it has interesting stories to tell. It genuinely looks, sounds, and feels like something that the minds behind Final Fantasy would create. Not quite fantasy, not quite sci-fi. A strange blend of the two that can’t be compared to anything else. 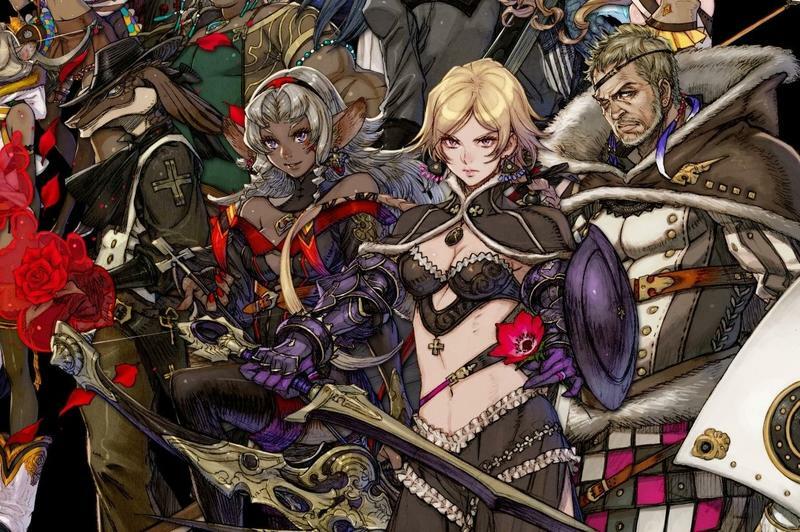 What does the future hold for Terra Battle? 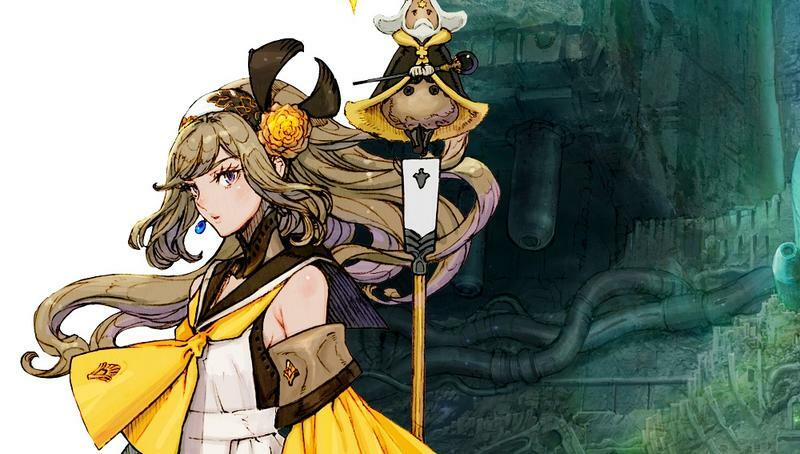 Originally, Mistwalker promised to create a console version of Terra Battle should the game hit 2 million downloads, and it has far exceeded that goal. Sakaguchi has laughed at himself for potentially promising too much, and I would understand if he wants to leave this alone. Terra Battle is fine as it is, and while I might like to explore its universe in a more traditional console sense, letting it capture your imagination with its minimal storytelling and presentation is half the fun. Likewise, Sakaguchi is also prepped to announce an entirely new franchise sometime this year, and I would rather he focus on that rather than extend Terra Battle any further than it has to go. As it stands, the game is perfect as it is, and with continued improvements and possibly exposure, Sakaguchi might finally be known as something other than just creator of Final Fantasy. There are those who still might dismiss it because there is still an element of chance they can’t control or simply because they can’t bring themselves to play a free-to-play game, but they’re missing out on one of the best original JRPG franchises of the last decade. Please, if this is you, drop the pride and give this game a chance. Square Enix fans especially, who have basked in the works of Sakaguchi since they were kids, this is not Sakaguchi appealing to the lowest common denominator. Not in the least.